Ergonomics on the Nikon Z6 are well implemented. This is something Nikon have always done well and it is nice to see this implemented on their mirrorless cameras. The grip is deep and there is a raised area on the back where your thumb goes. Holding the camera is extremely comfortable. 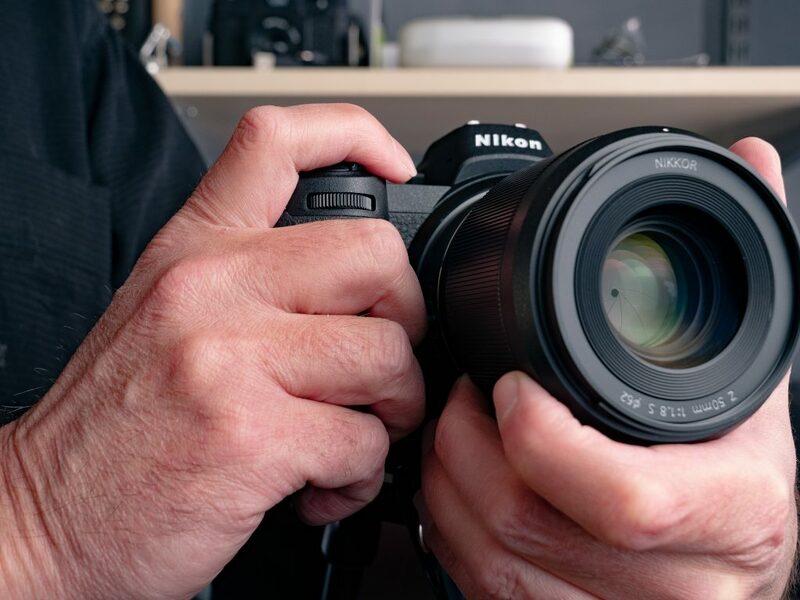 The Nikon Z6 and Z7 feature the same design and it is much smaller than a DSLR. This is an advantage to mirrorless and its nice to see some thought go into the design. Its not too small for the sake of showing off, and its comfortable to shoot on. One thing DSLR shooters will notice though is that it is light. This will make large lenses front heavy very quickly – and add to that the possibility of shooting on the adapter – you have a weirdly balanced system. Nikon will be adding more Z lenses to the lineup and it will be interesting to see how design is impacted there. There will be a battery grip which might help down the road for big-lens shooters, however the designs show no buttons at the moment. So its more of a battery extension than an actual grip. One other thing I really like about Nikon’s design aesthetic is the way the controls lay out. All buttons and dials are right near or under your fingers. There are many shortcut functions that are accessed with a combination of pressing a button and moving a dial. These are very comfortable and ends up giving a very fluid feel to using the camera. Its nice to see this design carry over to the Z6 and Z7.